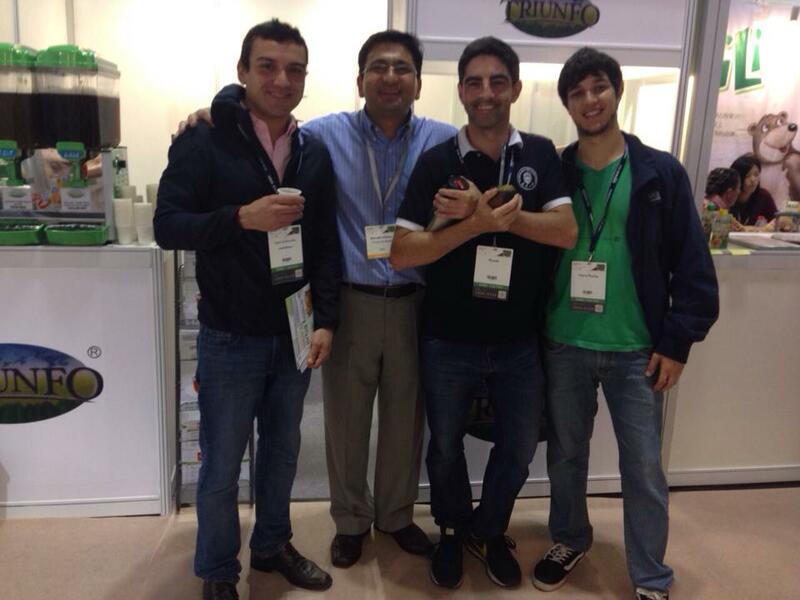 About a month ago I was contacted by a Triunfo do Brasil employee who invited me to visit their booth at the Biofach China 2015. Curious about how yerba mate was making its way into China, I jumped at this opportunity. Upon arrival, I was greeted by Mr. Oikawa, who works at the export department of Triunfo do Brasil, a century-old family business that has produced organic mate in Paraná for four generations. Today the company has grown into the largest organic mate plantation in Brazil, exporting 100% of its mate to five continents. It was a very pleasant morning and we talked a lot about yerba mate and life in China. Mr. Oikawa has traveled the world during his career as a salesman and we all certainly enjoyed his stories. During the weekend, I agreed to meet Oikawa again for a Shanghai city walk and as we made our way from Nanjing East Road to Jing’An Temple, he shared with me what he had gathered from China so far. “Thanks to this, many Japanese are learning to appreciate the product and the market is expanding. We are slowly but firmly increasing the sales volumes,” he said. In China, yerba mate is still largely unknown. The Chinese have their own tea culture and are very proud of it, so the key to enter this market successfully, would be to present yerba mate as something else other than just tea. Better said, it would be advantageous to build up a market strategy focusing more on the health benefits of the product and less on it’s traditions. 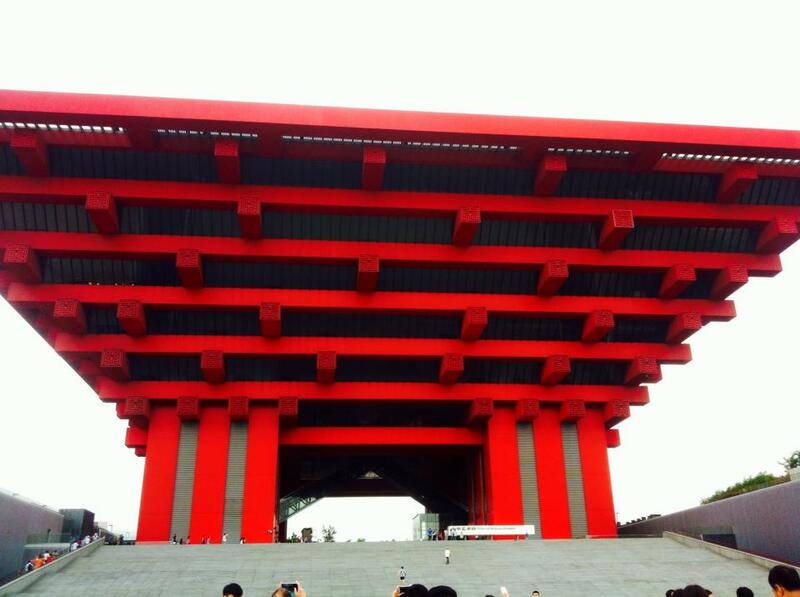 After all, to the Chinese there is only one tradition… Chinese tradition. Anyway, this is a deep topic in itself and I will definitely be coming back to it in the future. So anyway, Oikawa had two types of cold yerba mate drinks being served for free at his stand. They were both prepared mixing roasted yerba powder in cold water. The result was many gallons of a dark brown drink like Matte Leão or Iced Tea. While the Western visitors seemed to enjoy the freshness of the mix, the Chinese audience had mixed feelings about the temperature of the water and the concentration of the flavor. Oikawa even went on to tell me that at one point, a Chinese lady who seemed unsatisfied with his mix, asked him to pour just an infinitesimal amount of his concentrated powder into her thermos. She then, shook it and drank it. Immediately, a smile came to her face and she said: Yes! That is how you drink tea! Among other topics, we talked about the market in Europe. Everybody knows that Europe has the tightest food control policies in the world, with Germany leading the way. Lately, the German government has declared war on products containing Anthraquinone. This substance is present in smoked goods, like for example smoked sausages or smoked fish and is considered to be cancerous. Due to the fact that yerba mate is essentially smoked, it presents what the Europeans consider unhealthy levels of Anthraquinone. Until previous years, the limit imposed by the European safety standards was of 0,03 mg/Kg. This level has recently been lowered to 0,02 mg/Kg. According to Oikawa, popular yerba mate brands in the market today present levels as high as 0,9 mg/Kg. In order to secure it’s position in the Euro market, Triunfo do Brasil has put in quite a lot of effort to meet the new imposed standards. “We are the only exporters to have done their homework! We believe that by this year we will be shipping yerba mate with a Anthraquinone concentration of as low as 0,01 mg/Kg.” Said Oikawa. From my talk with Mr. Oikawa, I learned that the yerba mate market has yet a lot to mature. In order for it to gain the world, measures must be taken in order to meet the ever-growing demands. The problem with this is that more often than not, these measures require large investments in machinery, qualified personnel and government incentive. All this is seriously lacking in the yerba mate producing regions. So what will happen? The answer is, the inevitable will happen. What always happened will happen. Clients in developed countries will depreciate the value of the yerba produced in South America, because it doesn’t meet the standards that they themselves have imposed. They might then import this devalued yerba anyway, treat it and package it using their own technologies in their own countries and then re-sell it for a much larger profit margin. This is a model similar to what happens to coffee, for example. In terms of revenue, Germany is the world’s 2nd largest exporter of roasted coffee, but I challenge you to find a single coffee plant there.